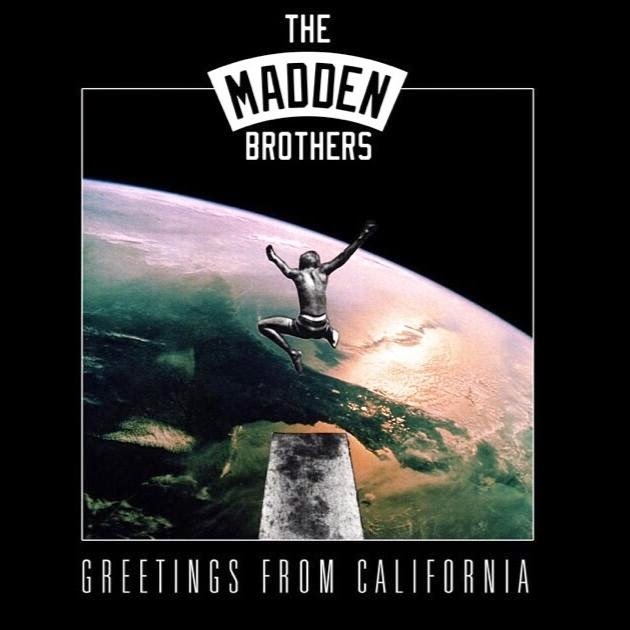 In a time where we see too many artists drowning in overproduction The Madden Brothers have striped it back and created a wholesome and honest record. This is not the sound you would usually expect from Joel and Benji Madden but it works so incredibly well. “We Are Done” was the perfect introduction to this side project as it’s one of the most commercial sounding songs on the record and is still so different to anything they’ve done before. “Dear Jane” is one of my least favourite songs on “Greetings From California” with its cheesy lyrics that I would expect to hear on a One Direction album. But it’s damn catchy and when it gets stuck in your head it’s not leaving anytime soon. “Brixton” and “Out Of My Mind” are early standouts and impress with strong harmonies and a retro 70’s reminiscent sound. The slower tracks “U R”, “California Rain”, “Love Pretenders”, “Suddenly” and “Good Gracious Abbey” have smoother harmonies and almost sound from a different era. “Jealousy” is a dance influenced alt rock track that radio would eat up with its carefree and fun themes. While “Brother” brings a country rock influenced sound with strong harmonies that would be a perfect single. These are two unique sounds that you wouldn’t usually associate with Joel and Benji but it just shows how talented they are to pull it off. “Bad” is the closest track to the sound Good Charlotte have branded and it’s nice to hear them not completely abandoning the pop/rock sound. Lyrically this album pulls of some strong imagery like “How’s a life supposed to thrive without the love to immunize” (Out Of My Mind) and “Scanning the bar, just empty spirits. Turn to say hi, nobody hears it” (Empty Spirits). The harmonies throughout the album are on point and their connection to the lyrics and melodies make it special. As a debut album this is a strong release and will win over a lot of new fans and rekindle the love of current fans. Just remember when you listen to “Greetings From California” that you’re not listening to a Good Charlotte record, you’re listening to two brothers connecting in a raw form.